You’ll be distracted by this bright and shiny Tea. 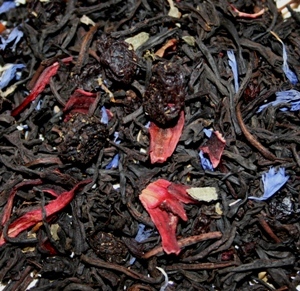 A luxurious strand of Sri Lankan black tea, faceted with blueberries, elderberries and hibiscus gems. Some girls consider diamonds to be their best friend; me, I’d much rather have tea! So this tea from WhiteAugust really interested me. The name says just the way I feel when it comes to tea! The dry leaf is quite beautiful and smells strongly of blueberry. As it brews this berry aroma intensifies – filling the whole kitchen with the delicious scent of blueberries! Yummy! The flavor is quite pleasing. The black tea base is the strongest flavor and it tastes rich and brisk. Not at all bitter but there is some astringency that leaves the palate feeling clean, dry and ready for another sip. The berry flavors are tart, but I am not finding it to be an undesirable flavor in this cup. There is a light sweetness from the blueberry, and the hibiscus does its part by adding a slight reddish hue to the brewed liquor as well as a bit of its signature tartness. And while I am not one who normally enjoys tart teas, I am finding that the level of tartness is just right for this particular tea. I actually like the tartness in this tea! This tea is delicious hot or iced. I find it to be most delicious, though, when it is warm … not tepid or lukewarm; but at a nice, drinkable temperature that is warm enough to be a “hot” tea but not so hot that it burns the tongue. At this point, I find that the flavor of the hibiscus has not yet “popped” so it is still at a pleasant tart level, and the flavors of the blueberry really shine through nicely while still allowing the black tea to be the star of the show. So far, I have tried a few of WhiteAugust’s teas and I must say that I am incredibly impressed with them. 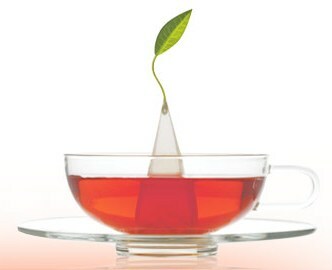 The teas are appealing to the nose and the eye as well as the palate. They’ve a beautiful, easy-to-navigate website and they are incredibly nice too! Everything one could want from a top-notch tea company! Herbal blend of freeze-dried orange, grapefruit, tangerine, apple, blackberry and carrot, mixed with lemongrass, hibiscus, eucalyptus, and beetroot. This blend is a harmony of sweet and tart flavors. A poet would describe this blend as a “mélange of fruit ecstasy”. We stick with delicious. Great hot or iced. Now that the holiday season is pretty much over, it’s about the time that most of us are starting to think “healthy” to compensate for our holiday indulgences. Well, this tisane will get you on your way! And you know what? This is a tisane you’ll want to drink not because it’s healthy, but because it tastes good! When I first opened the package, I could smell eucalyptus which can come off either as a pleasant smell to some and medicinal to others. I happen to like the smell of eucalyptus so long as it’s not an overpowering scent, and while this tea smells primarily of eucalyptus, it doesn’t overwhelm the nostrils. I had planned on steeping this for 5 minutes, but, at 4 minutes, I noticed that the tisane had taken on a very deep red color, and I feared that this would be a strong hibiscus-y tea. Since I’m not terribly fond of hibiscus, I stopped brewing at this point. And at 4 minutes, the results of the steeping is quite pleasant. The hibiscus notes are very faint, the liquor is not thick or syrupy, and only the occasional tart note. This tisane is citrus-y with a pleasing background of smooth, sweet apple, beetroot and carrot. These ingredients lend more to the surface of the tea than they do to the flavor – giving it a little bit of sweetness and body so that the citrus tones do not come off as too acidic. The overall effect is that of a refined, pulp-free juice like you might enjoy at a juice bar. The eucalyptus is not as strong in the flavor as the aroma would suggest, but I do get the sharp, fresh taste of eucalyptus trying to peek through the citrus notes. Overall, a very pleasant beverage – that is is healthy is just a bonus! I was a little confused when I read the packaging – the list of ingredients on the card that came with this sample of tea doesn’t include cinnamon, but I was certain it was in there. I could smell it and taste it. I was a little worried that somehow my olfactory nerve and taste buds were off. After visiting the website I see that there is, indeed, cinnamon in the blend. So at least my nose and tongue aren’t so off after all. But I still worried that this tisane would be very hibiscus-y since it was the first ingredient listed. But really, the hibiscus isn’t very dominant here. It adds some much needed body (without it, I think this would be a dismally thin cuppa) and color, as well as just a hint of flavor that enhances the citrus-y tones of the cup. That being said, as this tisane cools the hibiscus flavor does start to become more aggressive – so if you like the taste of hibiscus, drink this iced. If you’re not a fan of hibiscus, I suggest drinking it hot! The primary flavors of this cup are the citrus-y tones (most notably, orange) and the cinnamon, and it makes for a very nice, warmly spiced orange-y tisane. I can taste the rose and the lavender also, but, these are not particularly strong in this cup. The lemon balm adds just a hint of lemon-y flavor, but without lemon-y pucker. It is a very charming balance of tastes. 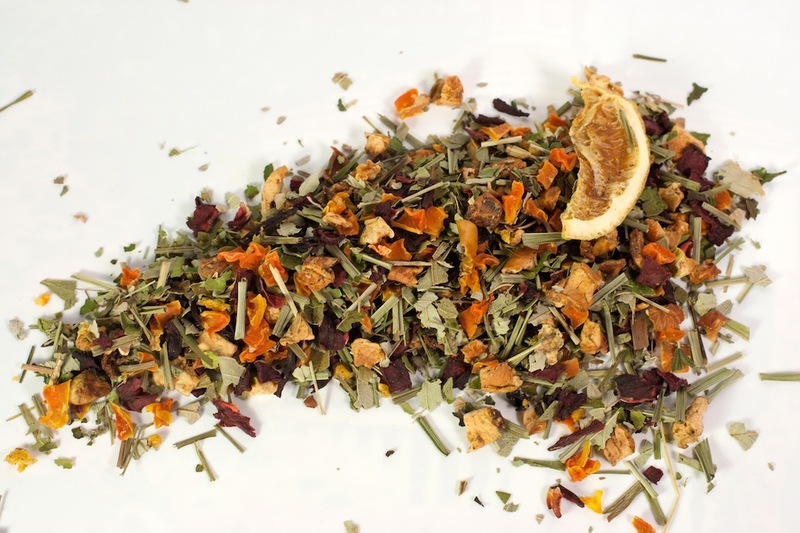 A beautiful herbal blend that is just as good for you as it is delicious to drink! Cheers! A vibrant, fruity, hibiscus-based herbal with a naturally sweet and surprisingly buttery finish. A limited edition holiday tea. Of the five teas that are included in the Winter Collection, this one is my least favorite. It’s the hibiscus. I just think that there is way too much of it in this blend, and I’m not particularly fond of hibiscus. The honey serves two purposes, really. 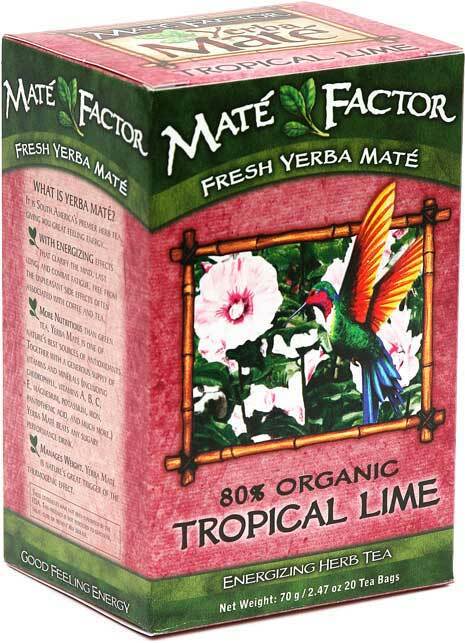 It not only curbs some of the tartness of the hibiscus, but it also adds some definition to the overall cup. With the honey in there, I can taste the lovely apple and citrus notes. And then there is the buttery finish. Yes, I get some tart that lingers on the tongue, but, there is also a sweet, creamy buttery taste in the finish … which nicely offsets the tartness. It’s really quite pleasant, and perhaps the one thing that keeps me sipping this tisane. As I said, this is not my favorite tisane and probably not one that I’d buy on its own, but it is certainly not so bad that I would choose not to buy a collection just because it happens to be part of that collection. 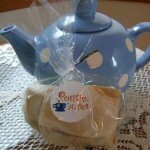 And I know that there are those people who have a greater appreciation for tart teas … this is the tea for you!